When you’re looking for speed, reliability and flexibility in a busy production environment, GrandRIP+ can handle all your print and print-to-cut applications. 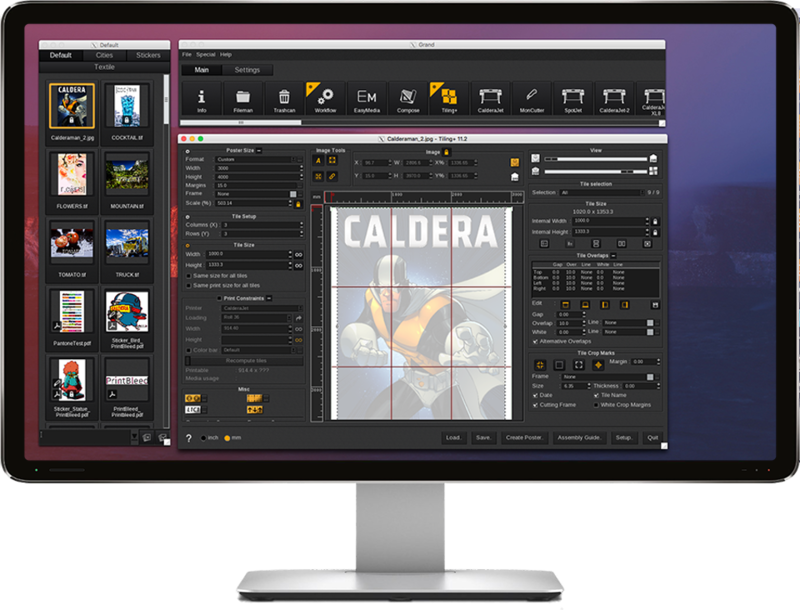 With the inclusion of APPE and EasyMEDIA, and with advanced overlap and tiling management, GrandRIP+ offers the ultimate workflow solution for large-scale wide- and superwide-format printing. When your business grows, GrandRIP+ will grow with you. This fully scalable solution is available with a range of optional features, from ink-saving to cost management tools. It’s the program that makes small work of managing your workflow, organizing your cutting and finishing, and keeping costs under control – all from one intuitive user interface.